We may have snow on the ground, but let this story cheer you. It’ll be sprinkles on your week for sure, and there’s all sorts of Truth in here too. And if you have a story that prompts you to action, share in the comments, then click here. When a child shows up in your mailbox…. Several weeks ago, I went through a training session to become a Child Advocate with Compassion International. According to Compassion’s website, a Child Advocate is “one that pleads the cause of another, specifically at Compassion, one that pleads the cause of children in need around the world” (source). I spent some time on the phone with a sweet woman, and we chatted about Compassion’s mission and methods, some history of the organization, the resources I have available to me, and opportunities I have to volunteer with the organization. A few days later, I received an advocate welcome package in the mail that contained brochures, pamphlets, a newsletter, and how-to information to further equip me to encourage people toward (and in) child sponsorship. But I was most excited about the child packet. This is Juma. I have the opportunity to advocate on Juma’s behalf. I could list facts, but facts are dry. As I’ve been praying about Juma and for his future sponsor, I thought about what drew me to sponsorship. When I encountered the little girl sponsored by my church, I realized this was a real child. While I knew that, did I really know before? Before, she was a picture. All the kids on the site were merely pictures to me. But then we had relationship. I thought how much easier it would be to find a sponsor for Juma if he were here beside me. If we could see his bright smile that I know is somewhere behind the squinty eyes we see from his bright picture day expression. Imagine a conversation with him as he tells you of his single mother, of his household responsibility of taking care of his sibling. Then, as little boys do, he’d get distracted and go running into the backyard to play soccer with your kids. He loves soccer. And hide-and-seek. How would he react if he came to church with us? He’d share with us how his church is, perhaps different, but we’re all worshiping our same Father God. What about when he joined in the fun of my children’s church class, perfect, as he is in kindergarten like some of my students. I know my students would enjoy having a new friend. Maybe we’d celebrate his birthday early, as his birthday isn’t until August 21, just a few days before mine! But any excuse for a party now. Most adults in his community are unemployed, but Juma’s mother sometimes finds work as a laborer, which would earn her an equivalent of $18 a month. 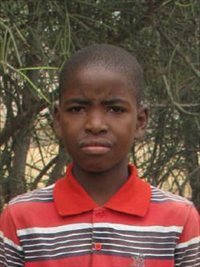 I wish Juma could be here for you to meet, but if his story has touched you, contact me about sponsoring him and beginning a conversation through letters. If you’re interested in sponsoring Juma, leave a comment or email me at truthnsprinkles(at)gmail(dot)com. I have his packet until March 28th. If you want to help but can’t manage a child sponsorship, share this post and his story. Here are some other children available from the same project as Juma. My tracker sent me into a happy dance. It tells me that, very soon, a child will grin, bright teeth flashing. A mother will very likely cry. And a new sponsor will be blessed as much as they are blessed. A child is sponsored, and I am beyond delighted. And know that I am thrilled for you and for your new sponsored-child. *If anyone ever has questions about Compassion (or my posts or just wants to say hi! ), do feel free to comment or email me! A favorite sprinkle, an opportunity, and a giveaway! Some of my sprinkles are good deals, people. I rarely, if ever, pay full price for anything, and coupons make me incredibly happy. When those good deals ALSO contribute to a good cause, I’m sold. Completely sold. Did you see that bit at the end? 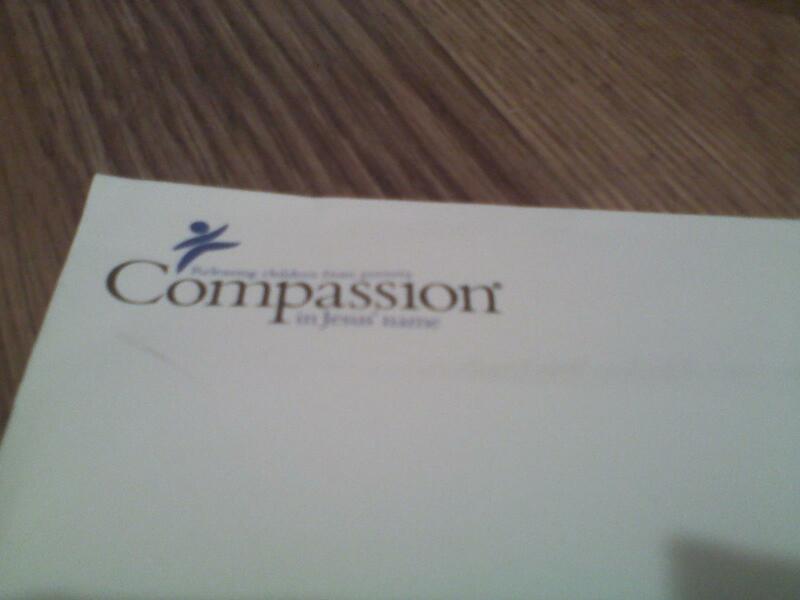 Compassion International! Now you know why I’m so excited to share about this business today! I found Everyday Icing about a year ago, and they have the loveliest jewelry for great prices and free shipping and I know that part of my purchase (10%–I asked) supports a cause so close to my heart. Since I’ve discovered them, I’ve picked up pretties for me, for my mom, for my friends…everyone! Necklaces. Scarves. Bracelets. They’re cute and great quality (and in preparing this post, I realized I have no pictures of me in any of it.) I’ve had rave reviews from those I’ve given pieces to as well. I love giving a gift that gives so much more. Which brings me to the opportunity! I love the second! I bought their Compassion benefit bracelet last year (ok, I bought three!) and every time I wear it, I think to pray for my Compassion kids, and I can share about the organization whenever someone comments on it! #1 is priced at just $12, and #2 at $14 (and free shipping!). Click over to their facebook page, register, and comment “sold” on the picture of the bracelet you want, and they’ll email you an invoice. It’s that easy! I am so excited about these bracelets AND about Compassion, that I’m putting together a giveaway for a reader who sponsors a child this week through Compassion International. I will send a bracelet of your choice to the first reader to click through to Compassion’s site through this link and choose to sponsor a child before this coming Saturday, January 18th. I will also send you a letter-writing packet with some stationary and goodies to start you out on your relationship with your child! ~The first reader to sponsor a child through Compassion International by Saturday, January 18th will receive her/his choice of one of the above bracelets and a letter-writing packet. ~Please use one of the links in this post, as it will allow me to track the sponsorships! ~Additional readers beginning a new sponsorship this week will receive a letter-writing packet as well! ~Email me at truthnsprinkles(at)gmail.com to let me know about your sponsorship! First, I’ll celebrate with you. Then I’ll coordinate details! (added)*Due to shipping costs, the bracelet giveaway is open to US residents only. Sorry! This is getting long, but I wanted to say something. You don’t sponsor for a bracelet. And that’s good and right. When I first began my sponsorship journey, I’d been thinking and praying about it for a long time. I felt burdened to use what I had to bless someone else; I am merely a steward of God’s resources! This giveaway is an encouragement for that person who has been feeling a nudge toward sponsorship, who desires to, in God’s power, release a child from poverty and give a child, a family, and a community hope. Pray about it. Click a link and look at a few children’s faces. Watch a couple videos as they introduce themselves. Don’t feel pressured or guilt-tripped into a sponsorship, but know that $38 a month isn’t the big thing: the important part is the overflowing love of Christ splashing out of your life and onto a child (and vise versa!). If sponsorship isn’t for you right now, considering one of the Everyday Icing bracelets or check out their other sales! Here’s the little girl I’m enamored with right now: Ama, in Ghana (for some reason the linked text/linked photo isn’t working–click here! http://www.compassion.com/sponsor_a_child/child-biography-video.htm?needKey=GH8150109&referrer=133390). Also, say a prayer for my little Yvonne in Kenya–yesterday was her sixth birthday! I knew, when I started this series, I’d end up with a Compassion post. I’m quickly approaching my one year anniversary of official Compassion involvement, though I became casually involved earlier with church. I was in tears, both at the despair of these children and the joy they found through the love of Jesus. The more I read about hearts changed through this program, the more I am confirmed that I am supporting a worthy organization (and of course, I fall more and more in love with my sponsor kids with every letter I receive from them). And even beyond the spiritual treasures produced through their church-based ministry, these children are fed. They’re tutored. They’re clothed and bathed and cherished. They are given access to medicine and even operations and hospital visits, as necessary. The problem of poverty has been brought very near to my heart through my involvement with Compassion. I’ve also begun reading Kisses From Katie, by Katie Davis, who moved to Uganda to serve orphans; her story brings more names and faces to the abstract term “poverty.” Everything I learn slips its way into my heart and whispers, “Do something.” And when it’s finished whispering, it shouts. Compassion is one of many organizations that “go into the nations to preach the gospel” (Mark 16:15), as they also serve and share, as the believers modeled in Acts. Recently, one certain family on the Compassion site has been on my heart: three-year-old quadruplets from Ghana. Precious, aren’t they? And a bonus: videos of each child (and mom!) if you click on their links! I love them. They each have such adorable attitude, and even in the 10-second videos, you can see their mama’s love for them. And can you even imagine the difference that education, nutrition, and medical assistance would make for this single mom with four precious, precious babies? Money for schooling, health, and shelter, a chance to break the cycle of poverty, a chance to bring hope to this family through their local church. I’m so grateful for the lessons I’ve learned through my experience with Compassion, but the more I learn about poverty, the more gratitude I feel for the work of Compassion for over one million children currently in their program. Grateful that I am able to have been blessed with the resources to be a part of this ministry. A couple months ago, I won a book in a blog giveaway. As I’ve mentioned, I love story. Books are a weakness. So I was thrilled. The book was Just a Minute, a collection of stories about children and the moments that often define their lives, written by Wess Stafford, former president of Compassion International. I expected more Compassion in the story, honestly, but the book included stories form history, from Stafford’s personal life, from his friends, from people he has met through his many speaking engagements and travels. The book’s theme is that, for children (and anyone, I would add), a moment of interaction can drastically change the course of their lives. In my experience tutoring and teaching Sunday school, I’ve seen how moments and words have such power over a child, positive or negative. I’ve seen a student come to me struggling with a class and convinced that he’s stupid and incapable. But with encouragement, his entire attitude shifts. Since reading Stafford’s book, I’ve been really focused on my interactions with kids, whether it’s my Sunday School class, a child who comes in with a customer at work, or just a child I smile at in the grocery store. I try smile. Give out a sticker. Recognize when they’re being a big help to mom. Maybe my word or smile will be forgotten. But maybe it’s the smile that tells them they’re important. The listening ear that tells them they’re valuable. And it takes no more than a moment. I want to always have a moment to encourage someone. When I was in high school, I joked that my camera ought to be surgically-implanted into my hand, so often did I carry it around with me. The art minor I added to my college career was mainly chosen for my love of photography. The act of capturing a moment in time with a camera closely relates to my love of relating a story through words: both mediums allow communication and Truth to be conveyed and preserved. My favorite photographs capture a moment while showing a part of a larger story. I remember a picture I took years ago of a little girl I was babysitting. She was involved in a large, elaborate game of hide-and-seek, and, from behind her, I caught her peeking around a tree. The background was bright, blurred out. The viewer of the photograph couldn’t tell what she saw, but her pose suggested a playful attitude, an eagerness. She was excited for what was to come…whatever that was. Today, I received a letter from my dear Kimberly from Peru. While I love letters, the most exciting part of the letter was a surprise photo included, showing Kimberly with the clothes she purchased with her birthday money in August. She is so beautiful! I first stared at her eyes, the same deep, dark gaze that drew me to her when I first saw her on the Compassion site. Then I noticed her shirt, a pink shirt with a picture of Belle, my favorite Disney princess! I could hardly read the letter Kimberly wrote because I was so drawn to her picture, and as I studied it, I noticed more. Her bare feet. The concrete walls. The black object she clutched in one hand. I wondered what it was. So many questions. My favorite mail comes in envelopes like this. But today I’m excited to simply have this picture, a wonderful surprise after a couple particularly long days at work. And excited to have her letter, full of newsy notes about her friends, about the Bible stories she learns at her Compassion center, about the spring season in her country. She always sends me hugs, and, in one letter, begged me to visit her country so she could give me a kiss. She calls me “godmother.” As I mentioned earlier this week, visiting my kiddos is a dream of mine. I would certainly have to make Peru one of my first stops; she’s been asking me to come since her first letter. Please pray with me that one day, both our dreams would come true! Tonight, I’m ever so grateful for photographs and my Kimberly–especially the two in one!